parkruns are free, weekly, 5km timed runs. Organised by volunteers who love running, parkruns are friendly and sociable events, for all abilities, that take place every week in local parks and public spaces. You just need to register before your very first parkrun. 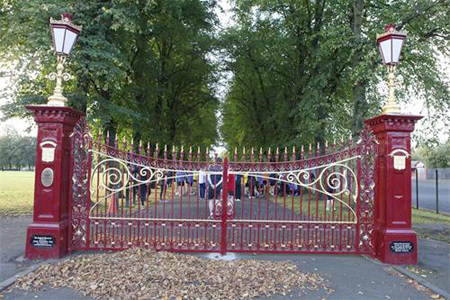 parkrun in Glasgow has grown since our first event in Pollok park started in December 2008. There are now six 5k events and one 2k event across the city, and once you've registered with us, you can run any of our events - no need to re-register! All Scottish events start at 9.30am, and all our Glasgow events have a first-timer's briefing at 9.20am. We look forward to welcoming you along, but please be sure to bring a printed copy of your barcode (phones don't scan) if you want a time for your run. And a Junior parkrun too! 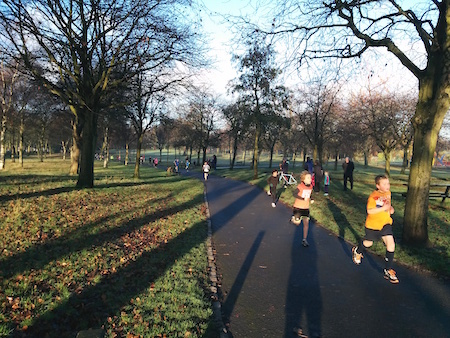 Glasgow now has it's own junior parkrun (4-14 year olds, Sunday's rather than Saturday). Details about the Victoria junior parkrun below. The first parkrun in Scotland, it was also one of the first ever parkrun events. Enjoy a fantastic run in the beautiful surroundings of Pollok Country Park's North Woods. This event used to be 'Glasgow parkrun', but because of the number of events in Glasgow, it changed name to Pollok parkrun in June 2014. Full details on the Pollok parkrun website. A fantastic event in the splendour of Tollcross Park. 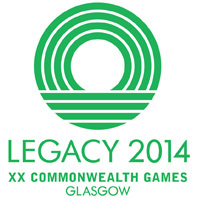 One of our Commonwealth Games Legacy events. Full details on the Tollcross parkrun website. The west-end's very own parkrun, a three lap course of Victoria Park. One of our Commonwealth Games Legacy events. Full details on the Victoria parkrun website. 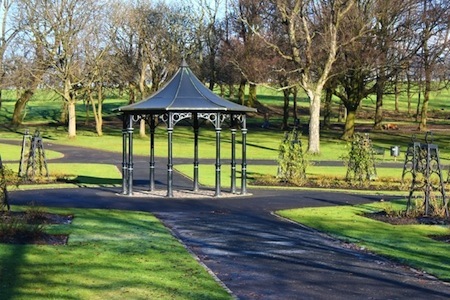 A hidden gem of a park in the North of Glasgow, boasts views of Ben Lomond on a clear day. One of our Commonwealth Games Legacy events. Full details on the Springburn parkrun website. A superb run in the bluebell woods in the northwest of glasgow bordering on bearsden. Full details on the Drumchapel parkrun website. The course is at Ruchill Park, Glasgow. Full details on the Ruchill parkrun website. Glasgow's first junior parkrun! For 4-14 year olds, Victoria junior parkrun takes place Sunday morning's at 9.30am. Full details on the Victoria Junior parkrun website. There are a growing number of parkruns in Scotland, part of the growing UK and worldwide parkrun family. On the west coast of Scotland there's Strathclyde, Greenock, and Eglinton. See the full UK events list and click on 'Scotland' for more! All parkruns are free but you must register in advance. Once registered with parkrun, you can participate in any of our events at any time without letting us know that you are coming. If you want to be a parkrunner, you will need to register once only. Help us to help you. All our events are free and organised by volunteers. If you have already registered, and are looking for your barcode, we can send you a link to your barcode by email. Our parkruns only happen because of the time and enthusiasm of our volunteers - runners like you who love their parkrun and are keen to help, support and grow our grass roots community events. To get involved yourself, see the 'Volunteer' page on the event website, or have a chat with the volunteers on Saturday about getting involved. 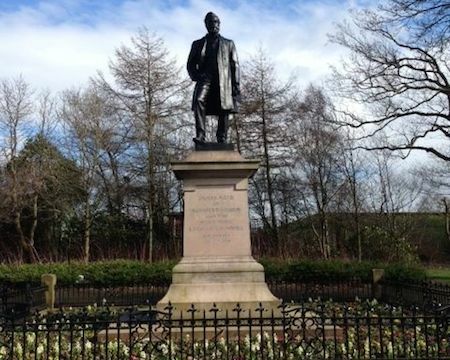 The Pollok parkrun team submitted a Commonwealth Games Legacy project proposal to help and support two new parkrun event teams start events in Glasgow. Three events have been started as part of this. If you'd like to start a parkrun event in a park near you, speak to the core team at any of our four Glasgow events. Clubs are very welcome to use parkruns to recruit new members - more than half of parkrunners are unattached. parkrun encourages and publicises local clubs at parkrun events through links on the parkrun event website and other ways. Our experience, with many examples, is that a local parkrun generates increased club members. Contact the local parkrun event. Race organisers are very welcome to use parkruns to publicise their events, through links on parkrun websites and through publicity at events (with the advance permission of the parkrun event director, in case of local park bye-laws etc). Experience shows that events longer than 5k attract more runners if publicised at local parkruns. Contact the local parkrun event.